Professional beekeepers know that beekeeping is not a job where you can just set it and forget it. Proper hive maintenance is a yearly job, and hive requires constant effort from the beekeeper to ensure everything is running smoothly. 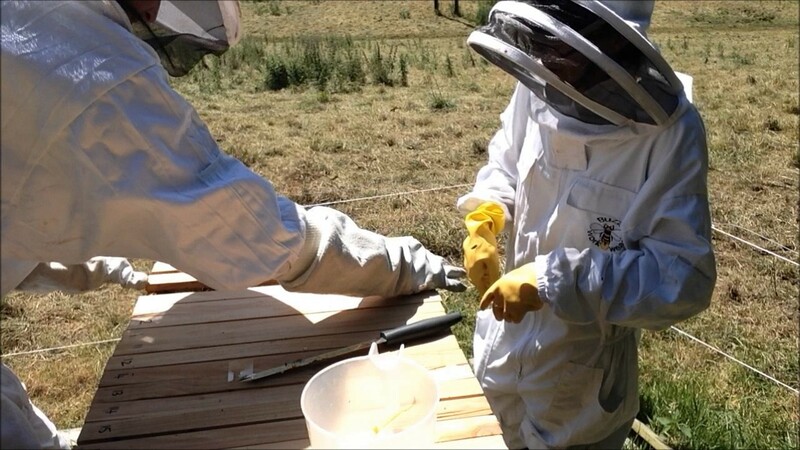 Here is a brief manual going over the hive maintenance responsibilities a beekeeper must undertake throughout the calendar year to run a successful bee farm. Spring is one of the busiest seasons for bees and beekeepers alike. In early spring, bees will begin to break off into swarms to look for new locations to start hives. This can be both a blessing and a curse to beekeepers. If handled properly, springtime swarms can move directly into another empty hive in your farm. They will immediately begin production on their own colony, effectively doubling honey production without having to buy more bees. However, swarms that leave your property can become a neighborhood nascence if not properly handled. Be aware that nectar is still scarce in early spring, as the flowers are only just beginning to grow. It may be difficult for your bees to find food, so it’s best to provide them with some easily assessable food in the meantime. Now is also the time to plant any flowers that you want the bees to collect their nectar from. The species of flower determines the taste, color, and texture of the honey produced, so be sure to do some research before deciding what to plant. Once the weather has warmed up, you should begin making weekly maintenance checks on your hives. For hive designs with frames, make sure you check each frame individually to check for any pests or diseases. You also want to do a hive inspection to check that the Queen has begun to lay eggs by inspecting the brood pattern. During the summer, the bees are hard at work collecting nectar and building up their hive. 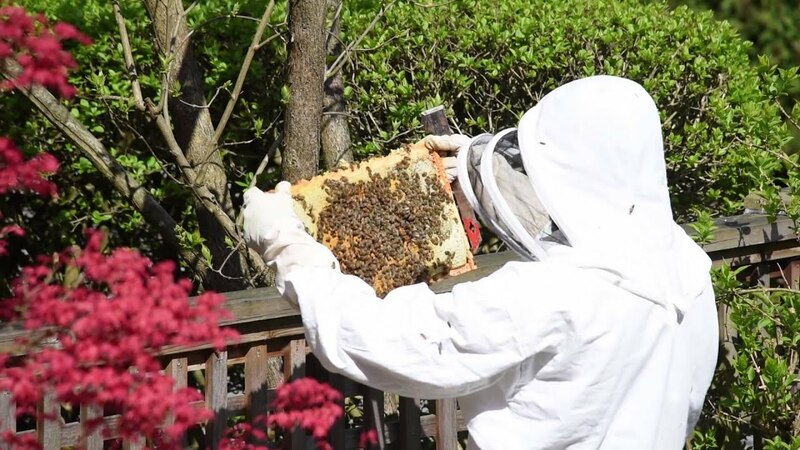 Summer is one of the most important times for hive maintenance, and hives should be checked at least once a week to ensure that the bees are healthy. Observe the production of honey and brood and make note of any changes or irregularities. While you will no longer need to feed your bees in the summer, it’s important to ensure there are clean water sources near your hives so they do not get dehydrated. Summer is also the time to start harvesting the honey your bees have worked on so diligently. During the summer months, beekeepers with a traditional Langstroth hive design will want to include a honey super box on top of where the bees are living. This provides more space for the bees to produce honey and helps keep the colony from becoming over-packed. Honey can be harvested from individual frames once at least 90 percent of the honeycomb is capped. Fall is peak honey harvesting time, as the bees push to produce enough food to last them the winter. While honey harvesting can start in late summer, many of the combs are not fully capped until early to mid-autumn. The first half of the autumn months should be spent harvesting the honey and conducting regular hive maintenance. Always be on the lookout for diseases or mites, which could wipe out your hive over the winter if not properly dealt with. As the season cools down, it’s time to start prepping your hives for the winter. During the winter months, bees will stop all production as they stay in their hives to survive. You’ll want to leave your bees with enough food for the winter, so it’s important to leave at least 30-40 pounds of honey for the bees to consume. You may need to begin feeding your bees again to make sure they will be able to make enough for the winter, as the nectar from flowers will no longer be available. While bees don’t hibernate during the winter months, they pack themselves in their hives in order to wait out the cold. Bees are able to keep themselves warm in the winter months by huddling together and creating friction with their wings. This allows them to survive even the coldest winters, provided their hive is properly prepped. Once the colony settles in for the winter, they will not leave the hive again until early spring. This is why it’s important to prep your hives for winter as soon as the season begins to change. There are a variety of extra tools and features that can be added to a hive to ensure it’s ready for winter. Beekeepers will want to provide their hives with insulation, protection from the wind, and proper ventilation. 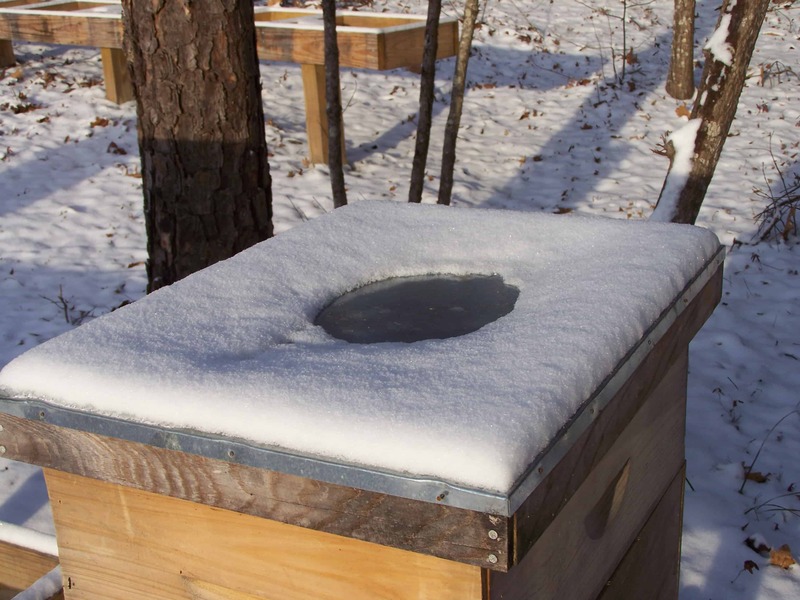 Insulation can be added underneath the outer cover, or even wrapped directly around the hive in order to keep heat from escaping. Windy weather can also cause issues, as a strong gust of wind can knock over a hive and expose your bees to the elements. Placing a weight or large rock on top of your hives will help keep it secure and upright. It’s also recommended that you reduce the size of the entrance, making it small enough so no pests can get through while still allowing proper ventilation.